The photo shoot for the Summer issue of Cast On was on Tuesday. I drove up to Granville the night before. I snapped a few photos of my garments while Julia, the model was getting ready. I've been in a "less is more" phase lately as these garments illustrate. I know my next project will be a "more is more" kind of sweater. 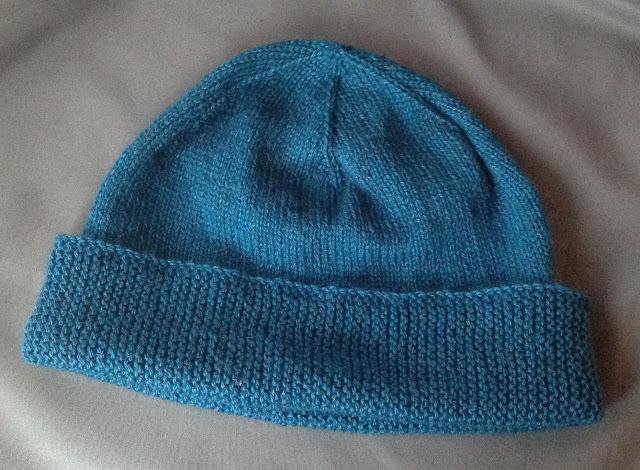 Sometimes I think it is harder to knit something simple. Every mistake shows. I should have got a photo of the back. I sacrificed my vintage bakelite buttons for this blouse! The dress looks pretty good as well. It was a slow week. Just a few lessons to review. I have been putting the final touches on Lesson 1 of the Finishing Course since it will be available on the 18th. The reference section is very detailed. I put in lots of photos which show the right way to do things and the wrong way. Registration for the Mackinac meeting opened on the 11th. There has been a good response. It is a fabulous location for a meeting. I am going to remember to take photographs this year. I had planned on doing more finishing videos but a couple of things happened this week which has prompted me to put that off for a bit. Swatches in my classes and in the Masters Program are to be tagged in the upper left hand corner. This lets the reviewer see that the knitter can "read" their work. Lately, a lot of the swatches I've looked at are tagged wrong. Sometimes I think it was a simple mistake but other times I've not been sure that the knitter can read their work. Also, I've noticed that many knitters cannot read their work as they knit it...count rows, identify different types of increases and decreases, etc. They seem to focus only on the stitches on their needle and if the stitch count is accurate. This makes it difficult to spot a mistake. I've decided I'm going to spend a few weeks on how to read knitting. I'll start with the simple stuff...CO and BO edges. I've marked the upper left hand corner. This is where the swatch should be tagged. When you are tagging knitted fabric DON'T USE SAFETY PINS. The stitches can get caught in the coils and safety pins have been known to cause rust stains as well. Use waste yarn. 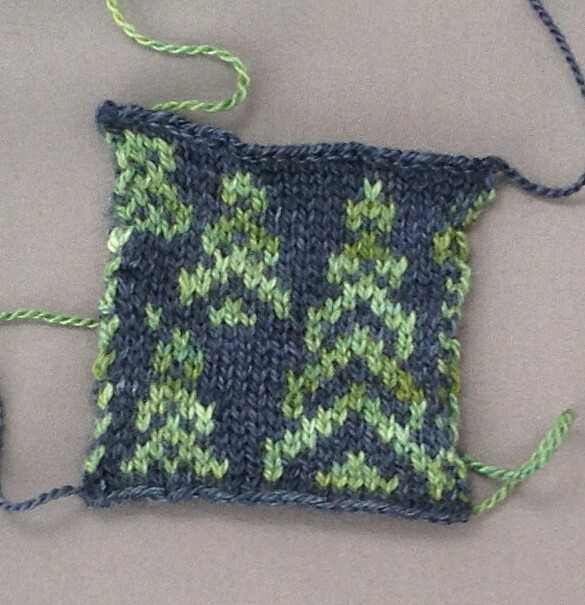 The swatch in this photograph has a garter stitch border. 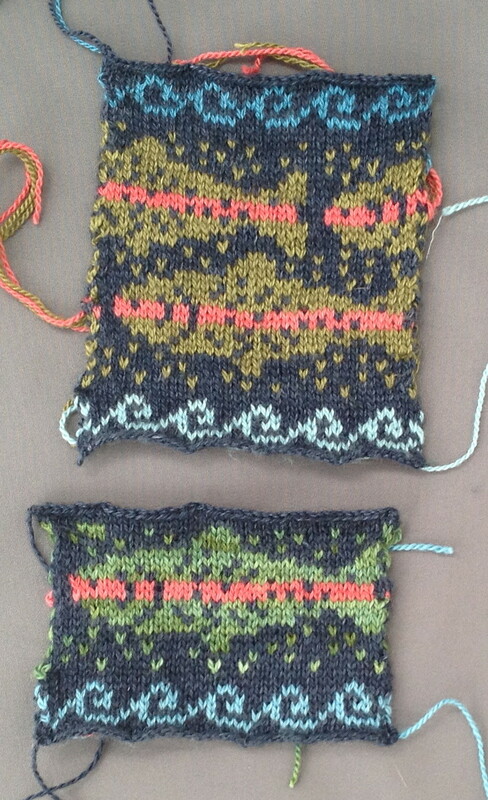 There are two ways to bind off to get this appearance. 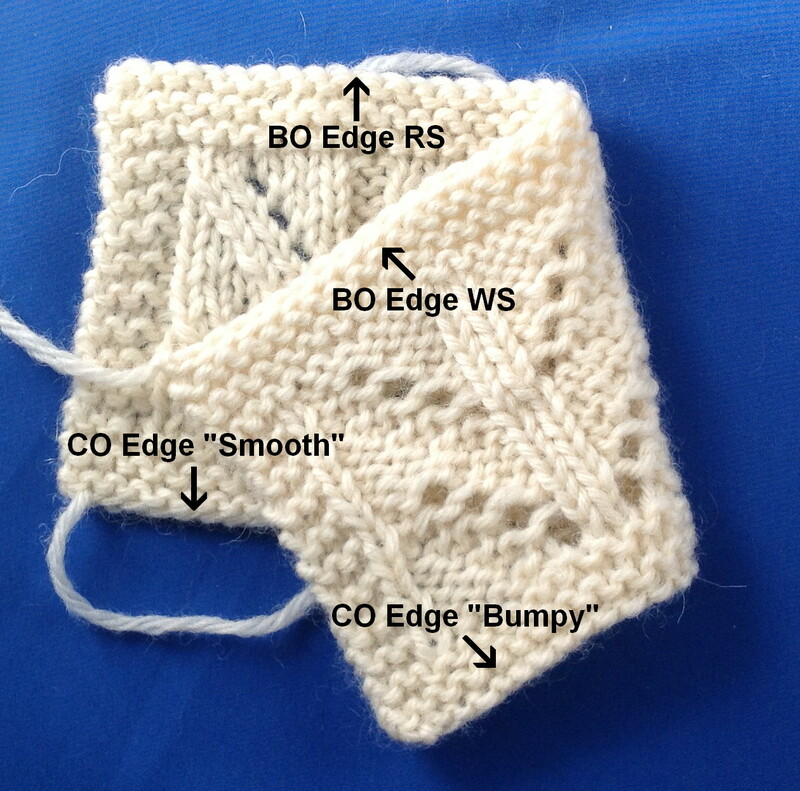 You can bind off purlwise on the RS or knitwise ﻿on the WS. If you bind off purlwise, the chain slants to the back of the work. I've folded the swatch so you can see both the RS and WS. I've labeled the cast on edges as smooth and bumpy. 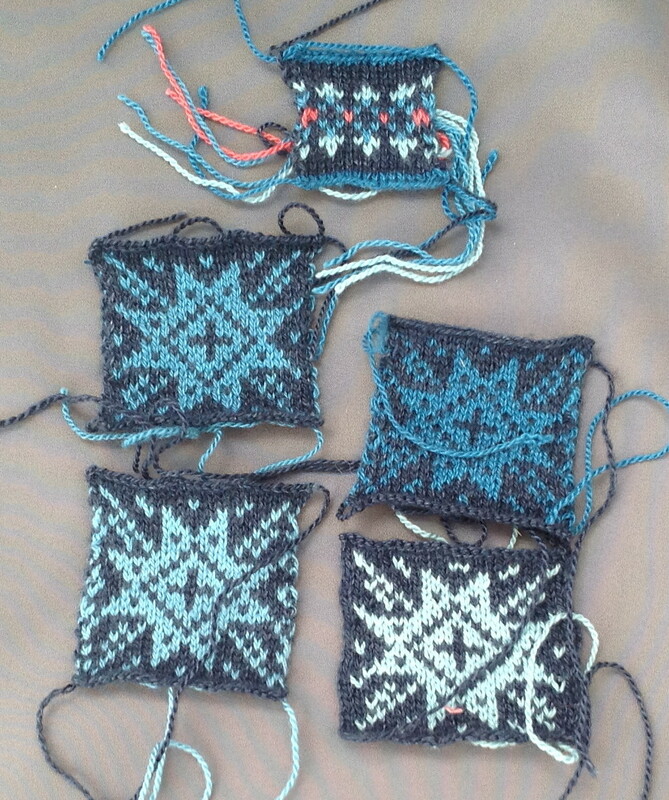 The swatch in the photograph was bound off in pattern. What that means is that you work the stitches in the bind off as you would if it were a pattern row. For seed stitch that means that if the stitch below is a knit stitch, you bind if off purlwise. If it is a purl stitch, you bind it off knitwise. 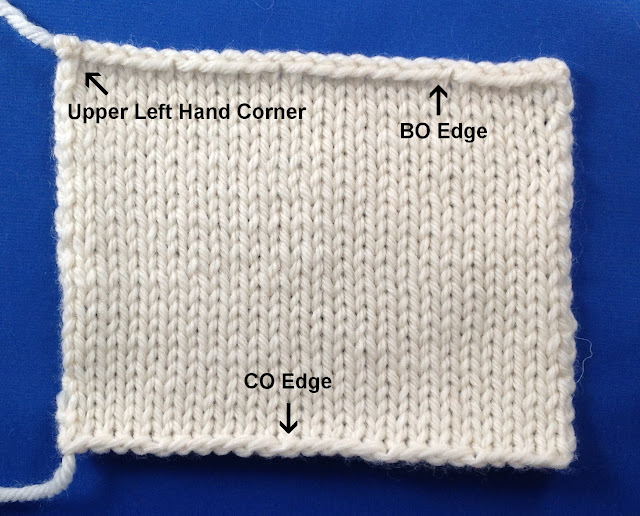 Notice that the chain stitches in the bind off edge doesn't slant to the RS or WS but are on the top. 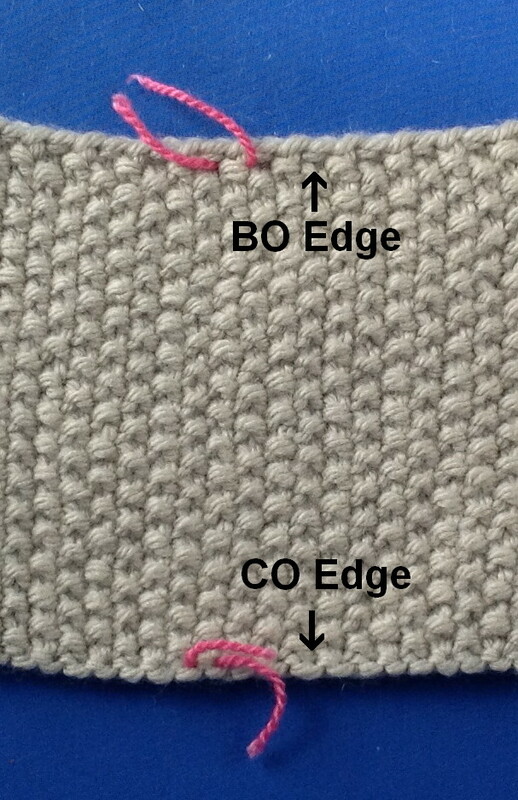 The "bumpy" side of the cast on edge is shown. Next week I will show how to read increases. I think I'll have a little quiz at the end of the tip as well. Salon will be on Sunday from 2-5pm. I will be at Rigoletto. I am very excited about it. It is also a basketball game. Lexington is in mourning as one of the best players has an injury which will keep him out for the rest of the season. 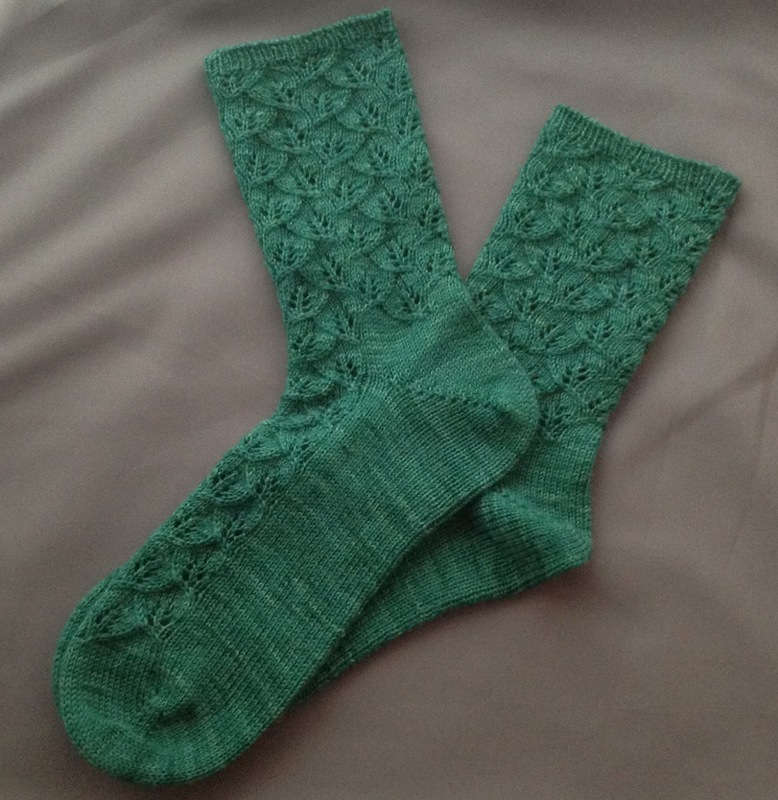 I can now post photographs of the socks I made for Stephanie's birthday. It was yesterday. I thought the Leaves of Spring pattern would work well with the green yarn. It is one of my very favorites to knit. I finished up my hat. I just need to block it. My hands have been blue while I knit this. I hope it doesn't do that on my head! I spent the week working swatches for my summer sweater and I am ready to start knitting soon. First I plan to lay out the designs for all sizes. I've learned the hard way, this is much easier. I worked swatches for all for the stars. I was going to do them all in one color but I've decided to alternate the two darkest. The swatch at the top is the border. 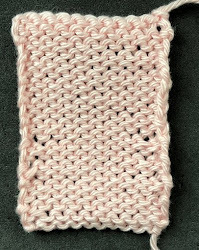 I've used this same border, in different colors, of course, for all of the sweaters. Here are the trees. The yarn is slightly variegated (thank you Elf for the suggestion!) I have some minor changes to make to all of the charts. I try to keep my stranding within .75 of a inch. I don't like to catch floats. It changes the appearance of the RS, especially very light fabric like this. I have to laugh. When I was in Reno, I had photographs of rainbow trout on my iPad to try and match the color. My husband was quite insistent that it had to match exactly. I did find a color that is EXACTLY the same color as rainbow trout. The first swatch shows that. My husband took one look at the swatch and said he thought they were more the color of the trees. I am glad he feels that way as the second swatch shows the color much better. I still am trying to decide what color to do the waves. I think I like the medium color best.